and provide effective warnings for both drivers and cyclists. The assistance system links LIDAR sensors with CMOS sensors. Algorithms, which are known from autonomous vehicles will be used for object recognition. 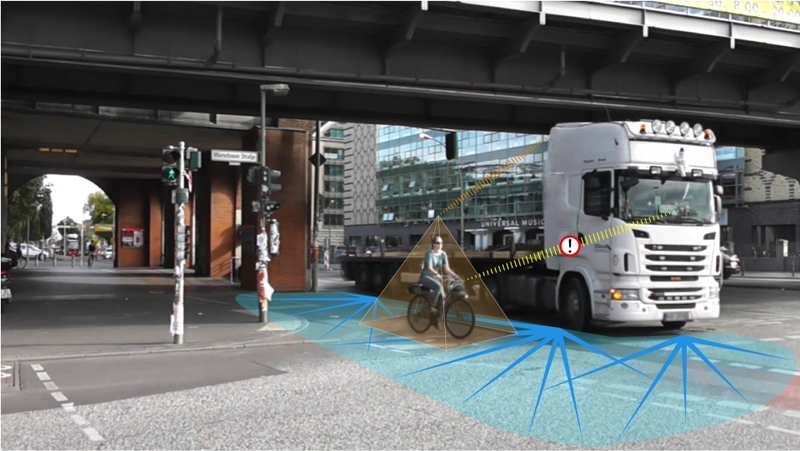 We are supported by our project partners in heavy goods vehicle traffic (MAN, Meyer & Meyer, BSR) and the General German Bicycle Association (adfc e.V.). Validation on test tracks and in real traffic. For further informations see our project website.